U.S. Coast Guard vessels based in Rockland, Maine. 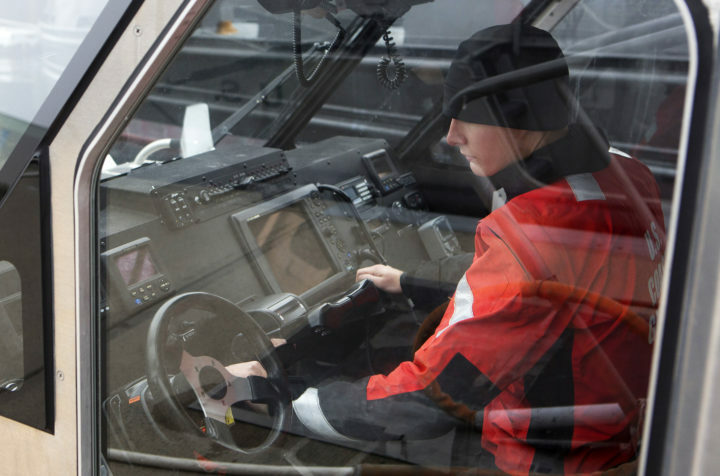 Maine’s hundreds of U.S. Coast Guard personnel perform search-and-rescue missions, break up ice in the rivers and do other critical jobs to keep the state’s mariners safe and its maritime economy moving. But although active-duty personnel are continuing to do those jobs even while the partial government shutdown drags on, they will not receive their regular paychecks next Tuesday unless some sort of resolution is found. Wednesday marked the 19th day of the shutdown, which directly affects a quarter of the federal government, or roughly 800,000 workers. Unlike other military branches, the Coast Guard is part of the U.S. Department of Homeland Security, which is largely unfunded during the shutdown. That’s bad news for Mainers such as Amanda, a Kennebec County woman whose husband is an active-duty Coast Guard crew member who spends three-month stints at sea. The woman, who did not want to share her last name, said that they had less than $1,000 in their savings account and they were trying to make that money last as long as they could, given uncertainty about how long the shutdown could last. It’s not easy to do, she said, adding that they are contemplating taking out a bank loan to help. 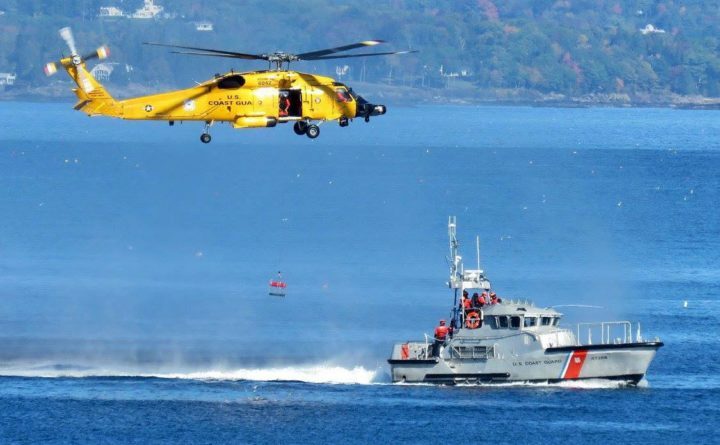 Andrew Barresi, a Boston-based public information officer with the U.S. Coast Guard, said that Maine is part of Coast Guard Sector Northern New England, which also includes New Hampshire and Vermont. Nearly 600 active-duty, reserve and civilian personnel work for the Coast Guard in the sector, with the majority of them stationed in Maine, which has facilities in South Portland, Boothbay, Rockland, Belfast, Southwest Harbor, Jonesport and Eastport. During the shutdown, many have been furloughed, but uniformed personnel are continuing to perform operations that provide for national security or that protect life and property, he said. “However, with a government shutdown, they will likely not have the full support that they need in order to maintain mission readiness,” he said. Petty Officer Nathan Bear prepares for a training exercise at the United States Coast Guard station in Rockland in March 2017. That’s troubling for people such as Ed Glaser, a Rockland city councilor and former harbormaster. Rockland is home to a Coast Guard station and is the only place in Maine designated as a “Coast Guard City,” a role the midcoast community takes seriously. At Monday’s regular Rockland City Council meeting, the council discussed helping Coast Guard personnel with heat assistance or emergency money to help with rent, utilities or groceries during the protracted shutdown. The Area Interfaith Food Pantry also has indicated it is able to help Coast Guard families, according to the Rockland Courier-Gazette. Rockland City Councilor Valli Geiger said that Rockland is home to a lot of young Coast Guard families. Maine’s congressional delegation also is unhappy that Coast Guard personnel may not be paid. U.S. Sen. Susan Collins, R-Maine, said she worked with federal authorities two weeks ago to make sure members of the Coast Guard would be paid for their pre-shutdown work. She is a sponsor of a bill to pay members of the Coast Guard during shutdowns, and also introduced a bill to ensure all federal employees are paid retroactively. U.S. Rep. Chellie Pingree, a Democrat who represents Maine’s 1st District, also used strong words to describe the effects of the shutdown and called for the Senate to end it. Last week, she voted for a continuing resolution to fund the Coast Guard and other agencies within the Department of Homeland Security. U.S. Sen. Angus King, I-Maine, said that it is not right that Coast Guard personnel who make sacrifices on behalf of the American people should have to scramble to make ends meet during the shutdown. When the government is reopened, he said he will fight to ensure that the Coast Guard and other affected federal workers receive all their back pay. U.S. Rep. Jared Golden, a Democrat who represents Maine’s 2nd District and is the newest member of the delegation, added his voice to the chorus decrying what’s happening as unacceptable. He said he is working this week to try and pass bipartisan bills to reopen the government as soon as possible.